That’s Imperfect Produce’s slogan. It’s also what my father said the day I was born. That whole ‘every baby is beautiful’ line? That did not apply to me. It could explain my compassion towards ugly fruit and veg. I’m with you, funky carrots. I’ve got your back. DISCLOSURE: Imperfect Produce did not request this write up. I’d been wanting to try them, then I met a series of good people who work for Imperfect. Their passion confirmed the need to bite the ugly. As most know, 25% of fruit & veg don’t make it to the stores because, as we say back in Australia, they’re fugly. That leads to insane amounts of methane leaking into the atmosphere as food rots in landfills; insane water loss (45 trillion gallons)… you get it. 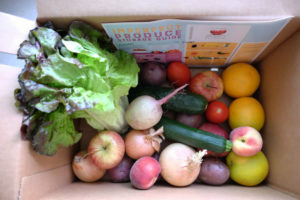 The promise of Imperfect Produce is to deliver to your door these left behind, healthy, fresh fruits and veg for 30-50% less than grocery stores. After a quick trip to the grocery store and a photo shoot, I had some answers. I ordered a bi-monthly organic box which cost $16.20. 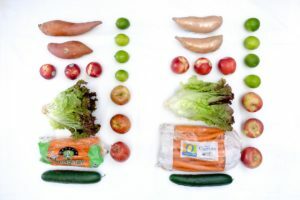 The exact same organic produce at Pavillions Grocery cost $23.55, a $7.35 (32%) savings. But, as IP has to charge $4.99 for delivery, the savings come out to $2.36 p/ delivery, or $56.64 over the year. Not quite 30-50%, but let’s look at the other savings. Being a stupid workaholic, saving TIME means way more to me. The grocery store is 10 minutes away. With parking, shopping, and waiting in the checkout line, it’s 45 minutes round trip. On an annual basis, that’s 18 hours. Do I still go the grocery store? Of course, but after three deliveries (with similar savings each time) I’ve noticed I go much less. Your profile updates after each delivery. 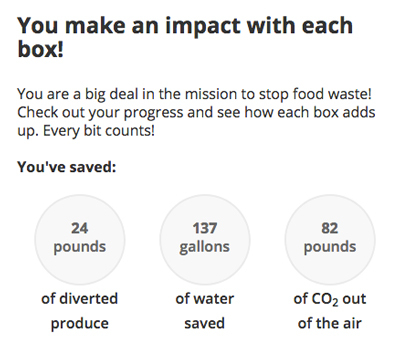 In a twelve month period I’m on track to save 3000+ lbs of produce, 1104 gallons of water, keeping 672 lbs of carbon out of the air. Pretty neat. Your impact shows in real time. Delivery #2. Imperfect on the left, Vons on the right. Differences? None. Another nice feature? When you pick your items, you can choose to receive a recipe card. 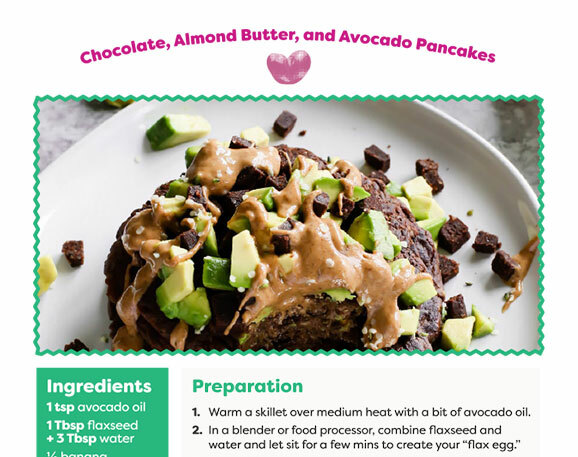 By chance, one of those passionate employees I met was being featured on the recipe card. 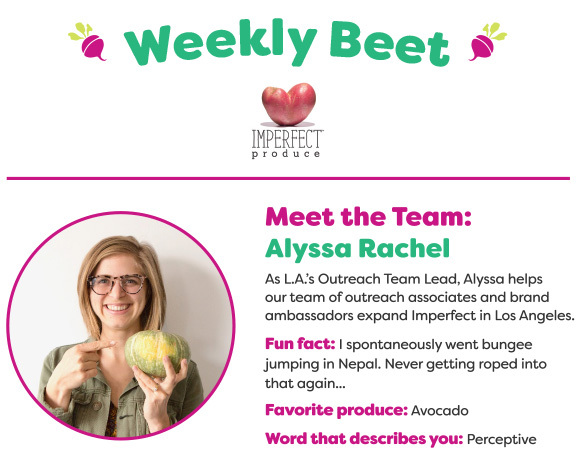 Alyssa manages Imperfect’s Outreach and Sales team for the Los Angeles market. She helps expand the knowledge base of food waste throughout LA and the taxing impact it has on our world socially and environmentally. Recipe cards available every month. What I can do with $56 and an extra 18 hrs back in my life? Easy. Go to a movie, grab dinner and enjoy a swanky cocktail. I could even drive to Vegas and back. That the fruit and veg has been good if not better (the white peaches!) 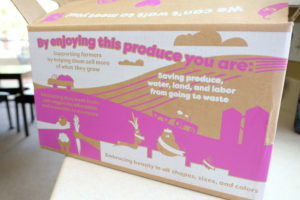 than the store produce, let alone the environmental and time savings, Imperfect Produce has my vote. To date, Imperfect has kept over 25 million pounds of produce from going to waste. About 20% of everything grown in U.S.—totaling about 6 billion pounds of ugly produce is wasted on farms alone! Over 3 billion pounds of food is wasted annually in California alone.